We are having a heatwave in the UK and it’s hard to cook or put the oven on during the day as the temperature has been reaching the 30’s Celsius! 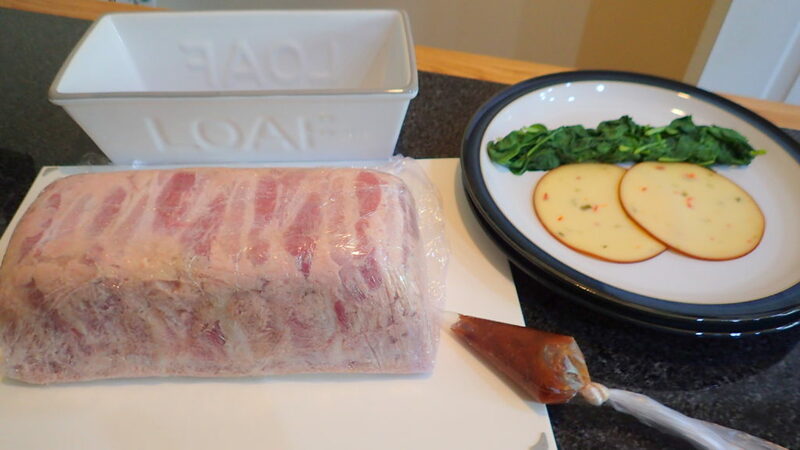 So I have decided to make pâté last night and just un-mould, into the fridge to chill this morning. Later I will just slice to serve for lunch. It’s an easy enough dish and it only needs to be in the oven for about 50 minutes. 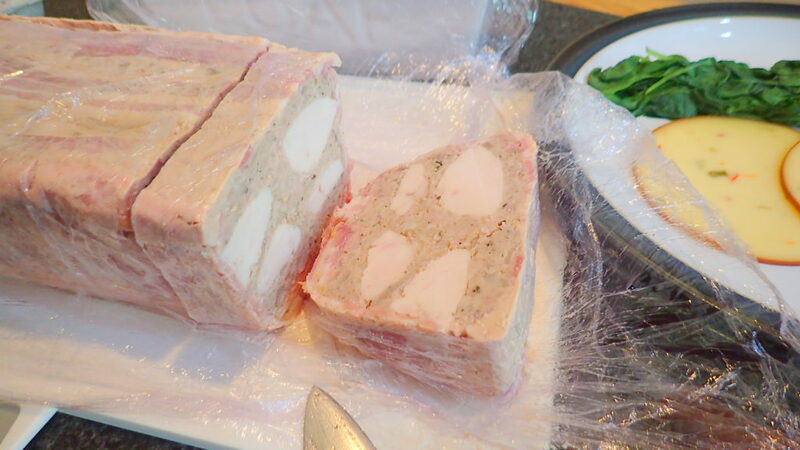 Terrine of chicken, pork and sausage meat pâté is a recipe I made up because hubby is not a huge fan of chicken livers so I omitted using them. Most pâté of course contains chicken livers. I make this once a year during the summer months. Not sure why really as it can be served throughout the year. I have also added a touch of brandy and sherry. 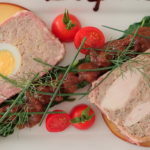 This terrine of chicken, pork and sausage meat pâté is very easy to make and keeps well in the fridge for at least a week wrapped well. 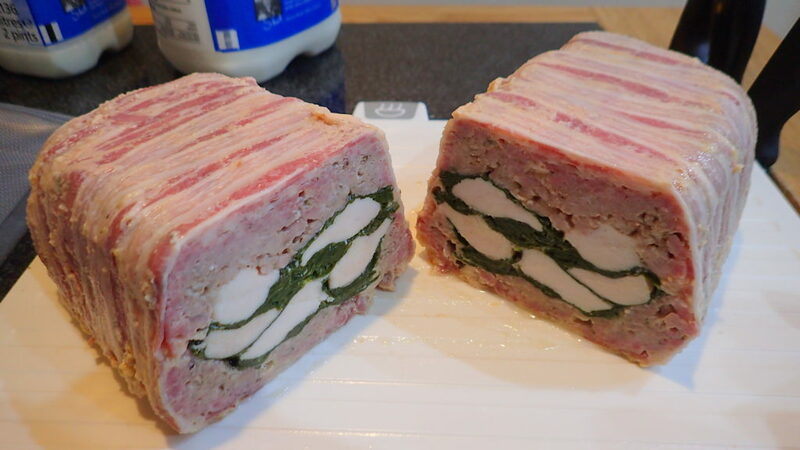 Once you have started making it you can of course add spinach, mushrooms or anything else you fancy. It also makes a good starter dish for a party and the bonus is that you can make days ahead. Another terrine I like to make is smoked salmon and cheese. Soak the chicken breasts cut into strips with a cup of sherry. 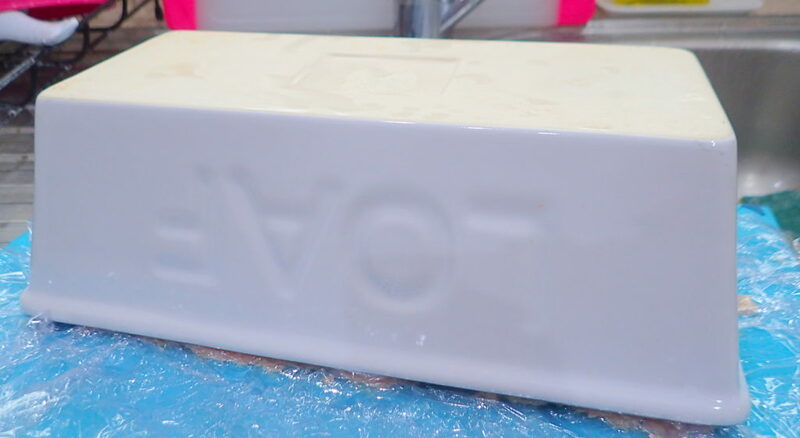 I use Harvey Bristol cream. Start by chopping the onions. Add in the minced meat and removed the sausage casing and use the sausage meat. Seasoned with mixed herbs, salt & pepper and any other herbs you fancy. Add in generous big tablespoon of two of good brandy if you wish. 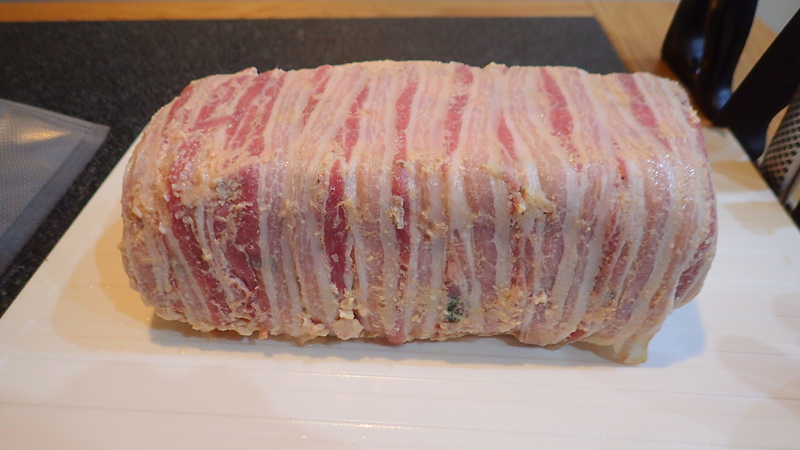 Then top with more bacon strips. 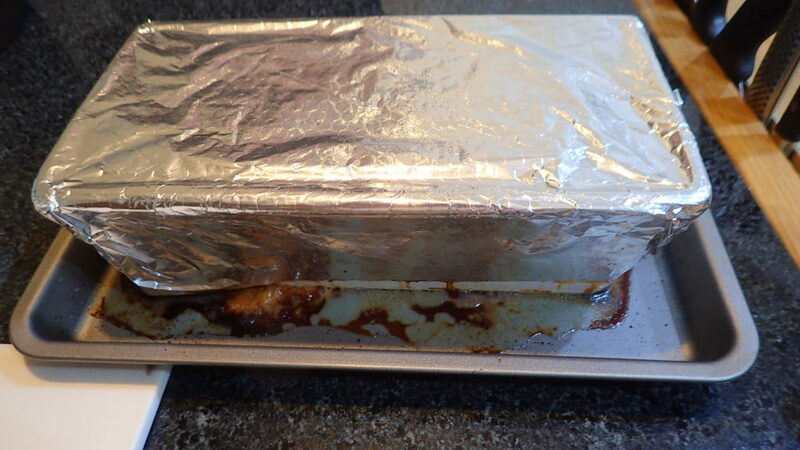 Wrap in tin foil and place into 180C fan oven for at least 50 minutes. Place a pan under your tin as oil will seep out. 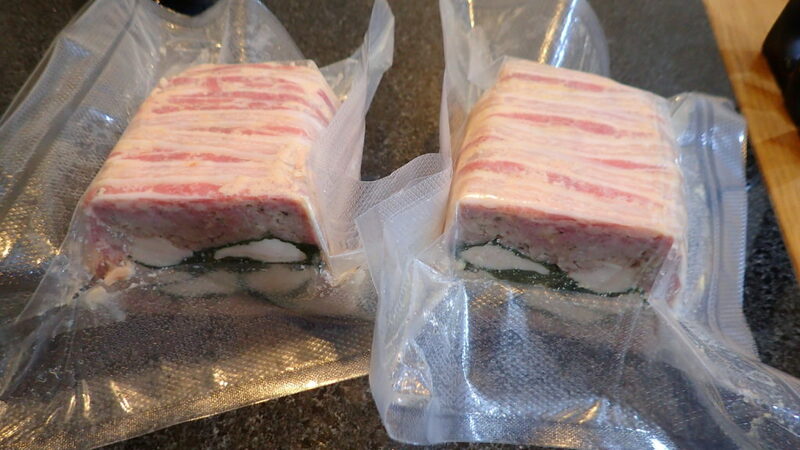 The next morning un-mould, wrap in cling film and place into fridge to chill. Then slice with a sharp knife to serve. You can serve either chilled straight from fridge or slice nicely then let it come to room temperature. 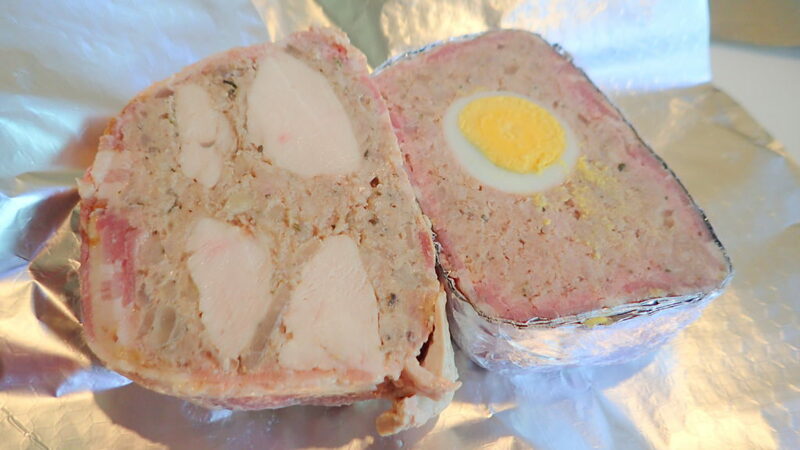 Serve with something slightly sour as this will cuts through the richness of the pâté. A chutney or plum compote is good and serve with a shot of whiskey is even better! Also have some salads and breads or crispy thins biscuits. TIP – I measured the water in the loaf pan I am using then pour it into the blue bowl. This is so that I know a bowl of ingredients will fit right into the loaf tin. Pour the water away later and dry both the tin and bowl. 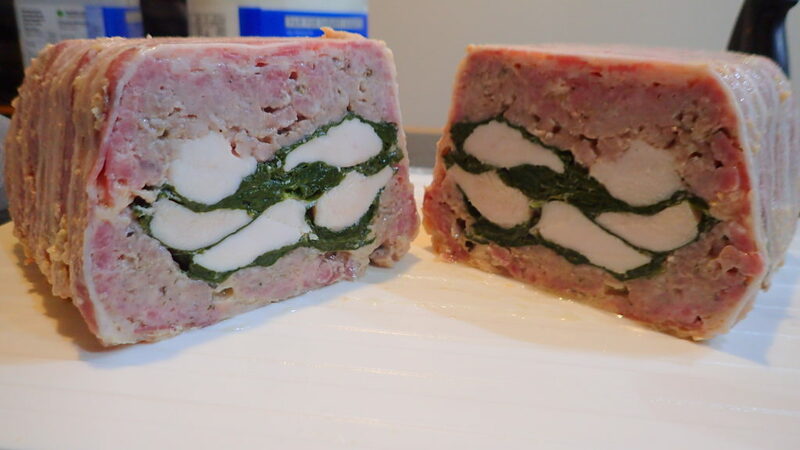 TIP – If you do not want to clean your oven like made please do not forget to place a tray underneath your terrine before placing into the oven.